‘UFBest’ | Florida Foundation Seed Producers, Inc. 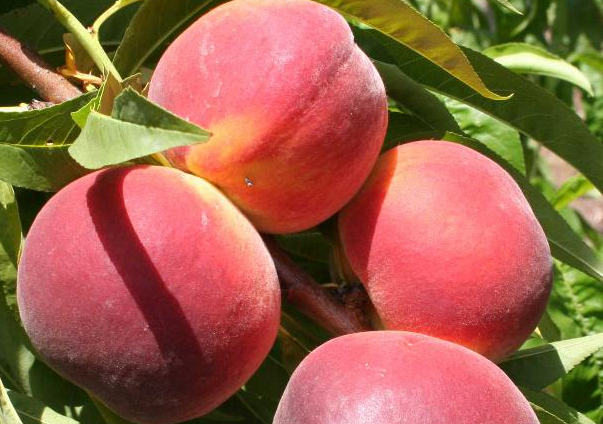 Description: ‘UFBest’ is a peach cultivar released in 2012 by the UF breeding program. This non-melting-flesh cultivar produces heavy annual crops of large fruit. ‘UFBest’ fruit develop 95–100% red skin over a yellow ground color, and the flesh is yellow with clingstone pits. ‘UFBest’ ripens 1 week earlier than ‘UFSun’ (U.S. Patent PP 14,764) (mid-April) in Gainesville, Florida, with a FDP of 85 days.